Dr. Blumenthal is currently a Senior Fellow in Health Policy at New America. Additionally, she serves as Senior Policy and Medical Advisor to amfAR, the Foundation for AIDS Research and is a Clinical Professor of Psychiatry at Georgetown and Tufts School of Medicine. From 2006-2011, she served as the Director of the Health and Medicine Program at the Center for the Study of the Presidency and Congress (CSPC) where she co-chaired the Center’s Commission on Future Directions in Health Care. For the 12 years prior to this appointment, Dr. Blumenthal directed and served as a Branch Chief of major research programs (Chief of the Behavioral Medicine and Basic Prevention Research Branch and Head of the Suicide Research Unit) at the National Institutes of Health. Dr. Blumenthal has been a pioneer in applying information technology to improve health establishing some of the very first health websites in the U.S. government, the National Women’s Health Information Center, and the “Missiles to Mammograms” Initiative that transferred imaging technology from the CIA, DOD and NASA to improve the early detection of breast cancer. Dr. Blumenthal has authored many scientific articles, edited books, been a health columnist for magazines, and served as the host and medical director for an award winning television series on health. She has received numerous awards including honorary doctorates and medals for her important contributions to advancing health. 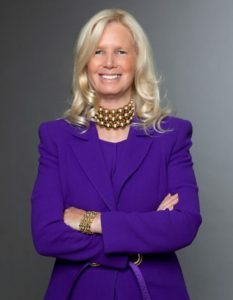 Dr. Blumenthal was named by the New York Times, the National Library of Medicine, and the Medical Herald as one of the most important women in medicine, as the Health Leader of the Year by the Commissioned Officers Association, and as a Rock Star of Science by the Geoffrey Beene Foundation.